Hening (pronounced “Her-ning” and meaning “peace and serenity” in Malay) Lake Villas is the latest property development project in Precinct 16, Putrajaya, by construction and development company ORANGEBEAM Bhd. 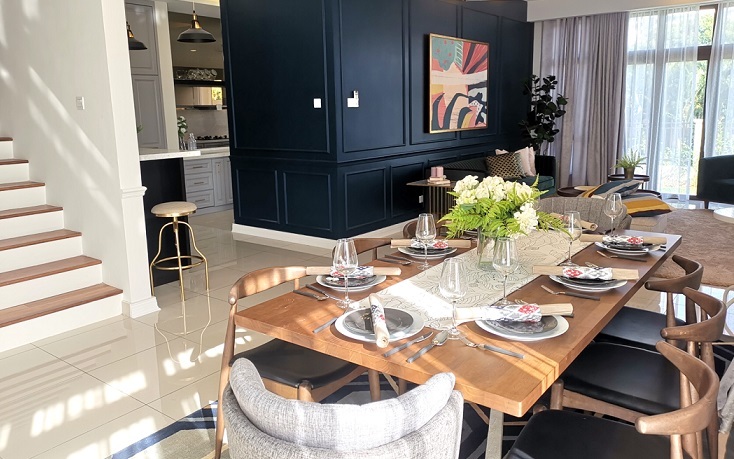 Freehold Hening Lake Villas offers just that – the concept of living luxuriously in a serene garden city while being surrounded by nature at its best, group CEO Datuk Faris Yahaya said in an interview with Property360. 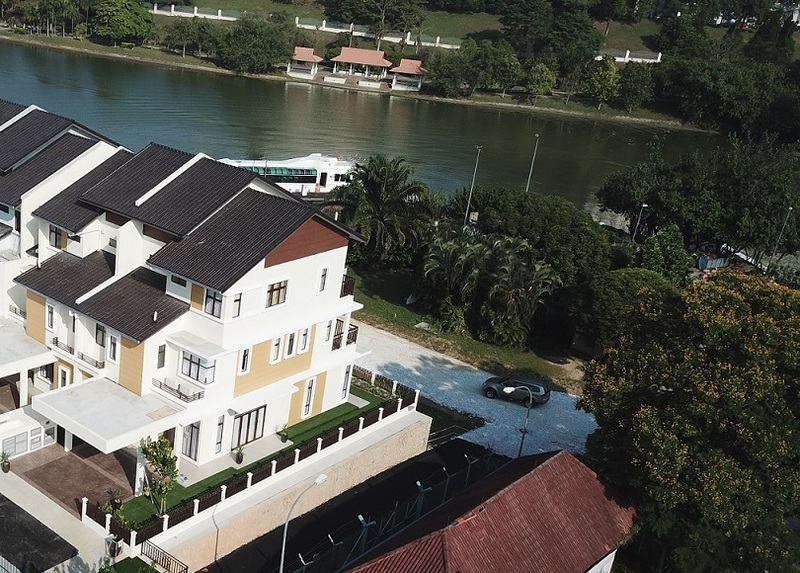 Between 16 February and 31 March 2019, each buyer who signs the sales and purchase agreement of any unit from Hening Lake Villas will receive sales packages worth RM88,888 that includes a travel voucher valued at RM5,000. Prices start from RM1.8 million with rebates up to RM400,000 consisting of 10% Bumiputera discount where applicable, 10% early bird and an additional 3% rebate. 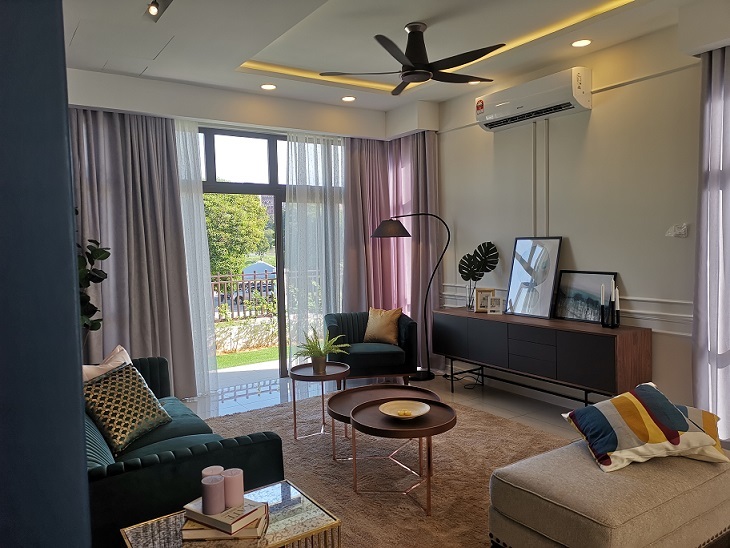 Hening Lake Villas homes come in built-up areas ranging from 3,300sq ft to 4,400sq ft.
Expected to be completed by early 2020, the development comprises 39 units in three different layouts and come in built-up areas ranging from 3,300sq ft to 4,400sq ft. Type A with 16 units and Type C with 12 units will have 5 bedrooms and 5+1 bathrooms respectively. Type B with 11 units will have 5+1 bedrooms and 5+1 bathrooms. When the project was launched in 2017, 40% of the units were sold. During the recent showhouse launch, it secured bookings for another six units. Precinct 16 has the lowest density compared to 20 other residential precincts in Putrajaya, says Faris. Currently, there are only five units left for Hening Lake Villas, which Faris foresees will be sold out soon. According to Faris, the units are suitable for multigenerational living as they come with 5+1 bedrooms and 5+1 bathrooms layouts with rooms for parents, in-laws and grandparents. ORANGEBEAM is also targeting working couples and families looking for these features: A garden city set-up close to parks and reserves but with access to modern infrastructure and amenities, a family-oriented residential haven with recreational amenities and events that can be enjoyed together, and a luxury home far from the hustle and bustle of the city. It also expects the peacefulness of Putrajaya that is well-equipped with modern amenities to attract home upgraders from busier cities and townships. 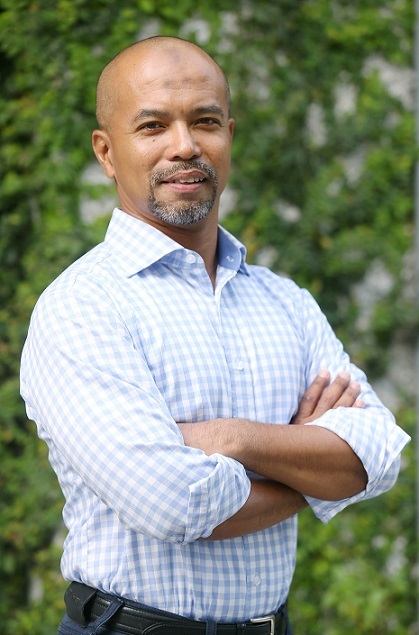 “For ORANGEBEAM, our ideal demographic mix is one that embodies inclusivity across all aspects, including income, social or culture, as it promotes a healthy economic diversity that will propel Putrajaya further,” Faris added. 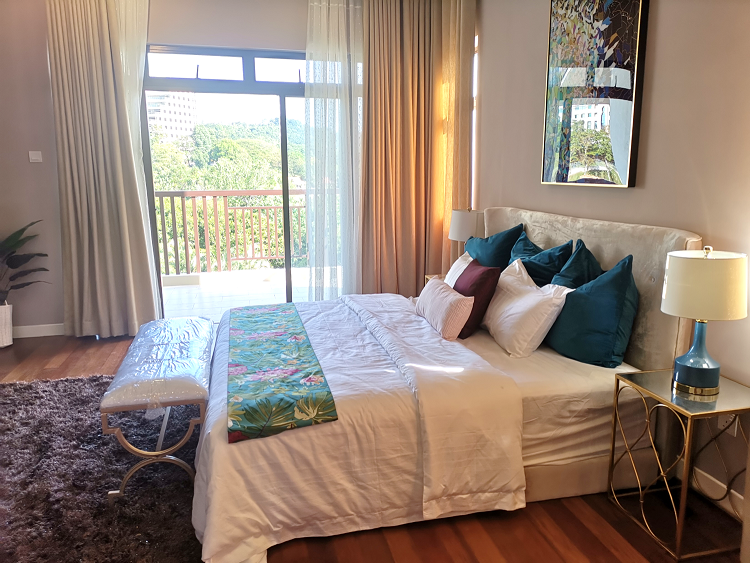 Hening Lake Villas are surrounded by urban and public amenities such as the Putra Mosque, Putrajaya Hospital and family-friendly recreational amenities like the Putrajaya Wetlands Park, Putrajaya Botanical Gardens and Putrajaya Marina. While it is not developed to include the gated-and-guarded feature, the units are equipped with its own security alarm system. Other key features include rainwater harvesting system, centralised water heater and gas piping. Faris said ORANGEBEAM’s developments in Precinct 16 – such as the new Hening Lake Villas, Danau Mutiara and Danau Suria – are near education institutes such as Nexus International School and several malls such as IOI City and Alamanda Shopping Complex. They are also within reasonable distance from international colleges and smart schools such as the Multimedia University, Limkokwing University of Creative Technology and Alice Smith International School. This is just one fabulous way of combining your living room, dining area and kitchen. Faris noted Hening in Precinct 16 is strategically situated near the heart of Putrajaya, a well-planned city located south of Kuala Lumpur. “Many people may not know this: Precinct 16 has the lowest density compared to 20 other residential precincts in Putrajaya. 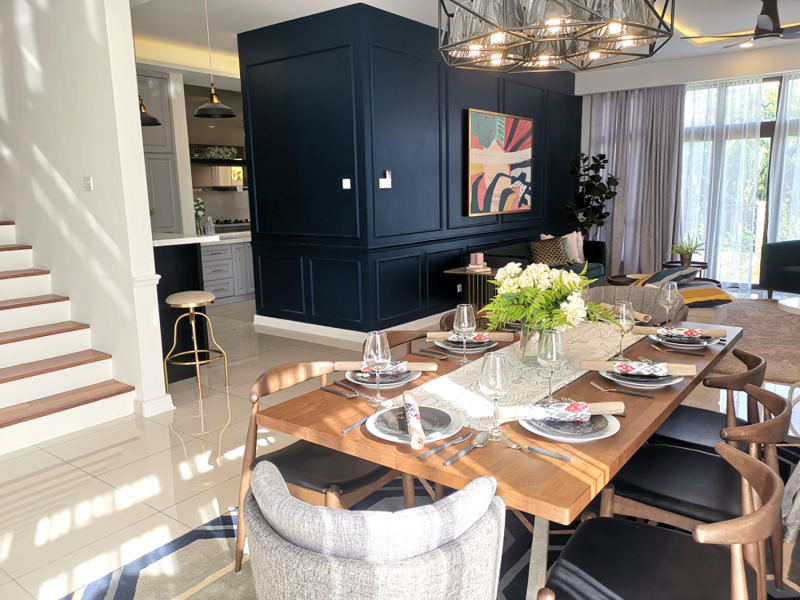 “With about nine units per acre, Hening is a low density residential that comes with a luxurious design and located close to the nature in Putrajaya,” he said. He added that this upmarket neighbourhood offers residents easy access to a wide variety of basic amenities and facilities for daily conveniences, leisure, recreation, business or education. There’s ample space in the house to create cosy little corners to lounge in comfort. These include eateries, shopping malls, commercial centres, schools, sport complex and recreational parks which are within a short distance from Precinct 16. In terms of accessibility, Precinct 16 is very well-connected and served by major highways and expressways which include the North-South Expressway (PLUS), ELITE Highway, SILK Highway, Damansara-Puchong Expressway, South Klang Valley Expressway (SKVE) and the North Klang Valley Expressway (NKVE). The KLIA Transit service that links Putrajaya to KL and the KL International Airport is also available. Precinct 16 is within proximity to the established Alamanda mall in Precinct 1 where one can find Parkson, Cold Storage, movie theatres, bowling alleys, restaurants, food court, and a wide variety of shops. Being just next to Precinct 1, Precinct 16 is also close to the administration buildings and government departments. Hening Lake Villas aside, builder ORANGEBEAM is, meanwhile, in the midst of completing Cantara Residences, a high-end project in Ara Damansara in Petaling Jaya, Selangor, by Sime Darby Ara Damansara Development Sdn Bhd. The project includes 17-storey buildings comprising 756 units of serviced apartments on a 7.12-acre site, including two floors of office units and shoplots, car parks and common facilities. Another key project near completion is the 28 Boulevard Soho & Service Apartments in KL by Beverly Group Sdn Bhd. The units are suitable for multigenerational living as some come in 5+1 bedrooms and 5+1 bathrooms layouts. It is a 45-storey architectural masterpiece with 636 serviced apartment units and 1,284 Soho units that comes with about 200,000sq ft of private recreational facilities including indoor and outdoor gym, infinity pool and themed landscaped garden. Just recently, ORANGEBEAM was awarded a RM270 million contract for a prime mixed development project at Seksyen 13 in Petaling Jaya by Paramount Property Development Sdn Bhd. The project, set to kickstart in the coming months, will comprise serviced apartments, office blocks, sub-basement carpark, elevated carpark podium, and facilities floor containing swimming pool, lounge, kindergarten, multipurpose hall, basketball court as well as yoga and maze gardens. NEXT UP: Property360 takes a closer look at “The ORANGEBEAM Story: Putrajaya and Beyond“.